What Happens When the Truth Stinks | Your Message. Your Story. Your Voice. « How do I get out of this? I woke at 3 a.m. yesterday to a woman screaming under the bed. 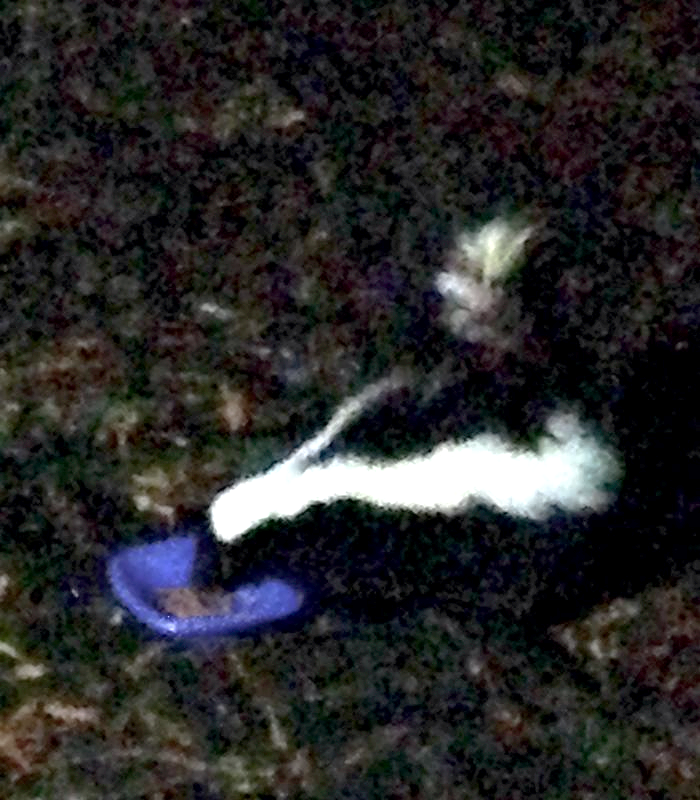 I soon realized it wasn’t a woman—it was Simon, the skunk who’d been living beneath our house the last few months. The peaceable arrangement we’d enjoyed with him seemed to be over. And, the story, as I liked to tell it, was over, too. We tamed a skunk! He eats from the same bowl as the cat. He waddles over when we shake the kibble bag. He stands still as we pass him on the way to the car. Twice now, we’ve burrowed under the covers as an oily, eye-burning, stomach-wrenching cloud seeps into the bedroom. Simon is just doing what he does when under duress. As for me (also under duress), I’m not quite clapping for a dancing skunk. I’m washing the floors with vinegar, burning incense, and hanging our clothes outside in the trees. Part of me still wants the story to go a certain way. The truth is, though, I’m sleeping with a lavender-doused bandana wrapped around my face while John loads peanut butter and cat food in the Have-a-Heart trap. If you’re like me, there’s a way I WANT to tell a story, but then the truth of it ends up to be a very different matter by the time it’s finished with me. is that they don’t know where to start. as you’re working with yours. What’s a story you wanted to tell one way… then the truth kept coming around and telling you something different? Take a peek at your relationships, career, or just your long-held-onto-expectation that something in your life was supposed to be a certain way, until it was clear that it wasn’t that way anymore. I promise, there is some good juice in there. And if you’re ready to learn more about what to do when you’ve got it, just click here to sign up for a 30-minute complimentary clarity call, so you can see how this story relates to your business and your message.